Anybody got £1k lying around? Meghan Markle and Prince Harry have been on point over the recent royal tour, being cute AF while championing amazing causes and meeting their adoring fans. Their trip is set to take them across Australia, Fiji, Tonga and New Zealand and will last sixteen days long – currently, the pair are more than halfway through and we’ve been following every moment. From Meghan Markle and Prince Harry’s sweet umbrella moment through to one of their littlest fans unexpectedly stroking Prince Harry’s beard, there’s been a few scenes that have put a big smile on our face at the office. We’ve been particularly big fans of Meghan Markle’s royal tour outfits, with the Duchess of Sussex swapping outfits multiple times a day and looking fire in each of them. There’s been a few that have caught our particular attention however, so we’ve put together a guide to her tour outfits and where to get them. The pink ruffled dress that Meghan Markle wore in Fiji was an unusual choice for the royal, who prefers to stick to more neutral colours and minimal sleek shapes. We were all for it and we’re hoping to see way more choices like this as the pink and blue floral print dress was utterly sweet and the pom pom belt added a dash of fun to the outfit. 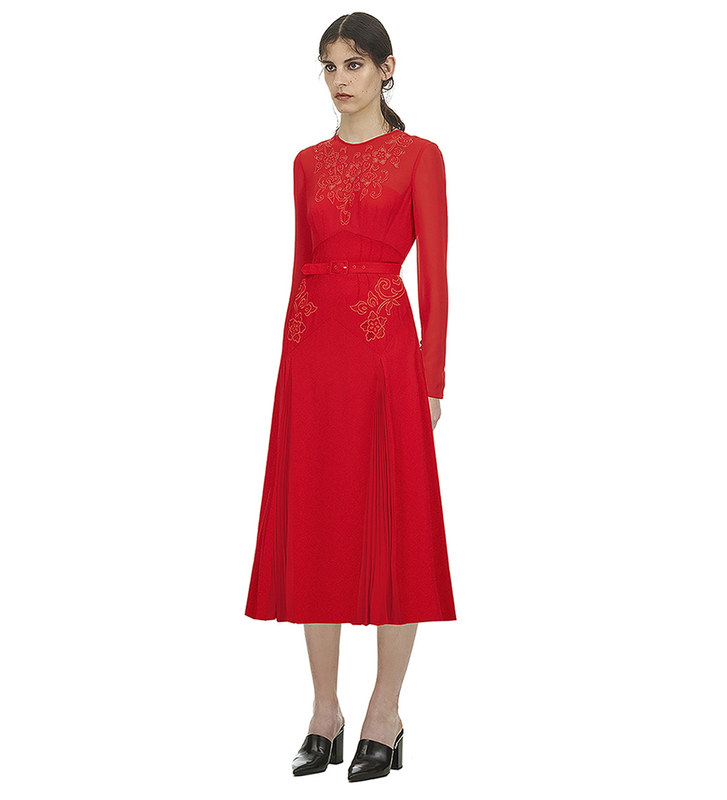 Designed by Figue Federica, it’s one of the priciest pieces she’s worn on the tour but oh so worth it. Self-Portrait is one of Meghan Markle’s favourite fashion brands, so it’s no surprise she stepped out in a piece by the designer on tour. 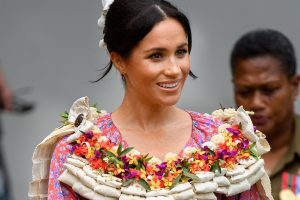 She stepped off the plane in Tonga wearing this striking dress and while it’s absolutely stunning, the internet quickly honed in on one little detail: the fact that she had left the tag on the dress. Meghan Markle wore an emerald green Jason Wu dress to a welcoming ceremony in Fiji, which she paired with a pair of Pippa Small earrings that we’re currently obsessed with. She also turned to her true blue pair of heels: a pair of black Manolo Blahnik BB Pumps. 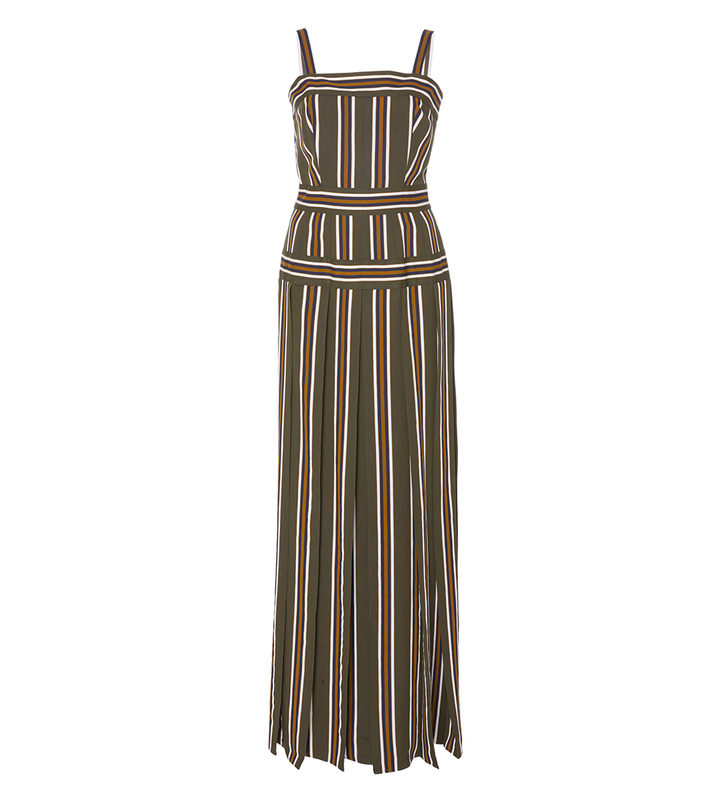 For her day on the beach in Sydney, Meghan Markle opted for a floor-sweeping maxi by Australian designer Martin Grant. Looking utterly summery and with a massive smile on her face, it’s one of our favourite casual Markle looks so far. 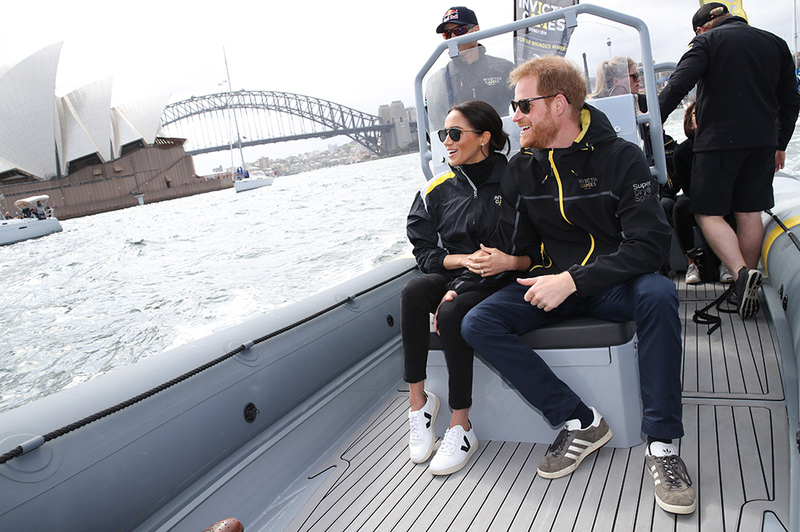 In one of her most laidback looks yet, the Duchess donned a sportswear look while in Sydney – fitting as she was watching an event for the Invictus Games. 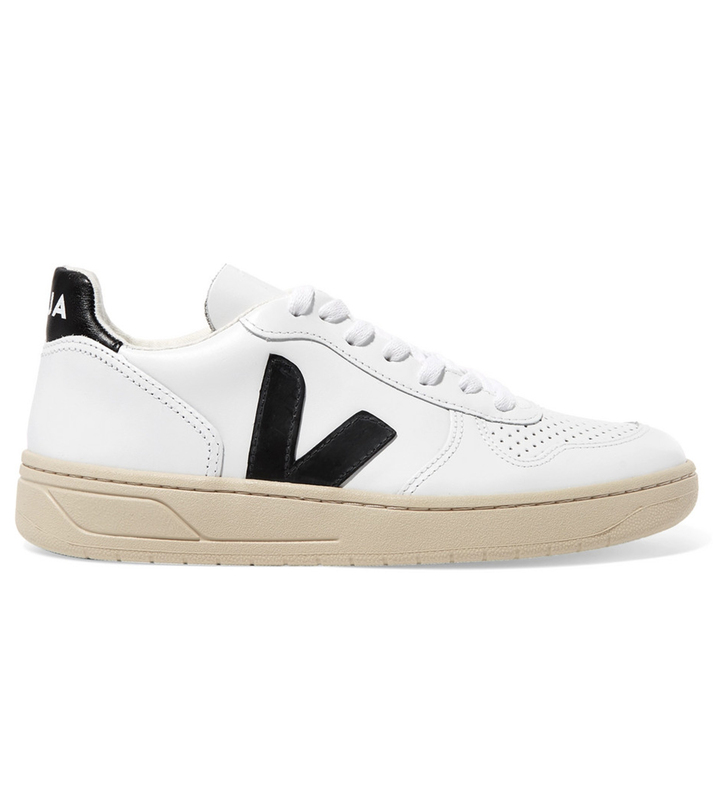 We immediately honed in on her fresh white sneakers from a brand called Veja, an eco-friendly brand which have long been the style set’s best kept secret. Meghan Markle proved that she’s on top of the most current fashion trends by opting for a dress by Reformation, a US brand that’s really big with fashion influencers. She wore the white striped dress while strolling along Kingfisher Jetty with Prince Harry, looking super glowy after her morning off from public events. While visiting Fiji and earlier at Bondi Beach, Meghan Markle stepped out in a pair of shoes the Queen is known to despise: a pair of wedges. TBH we’re all for them, even if she ended up taking them off to walk in the sand at Bondi. 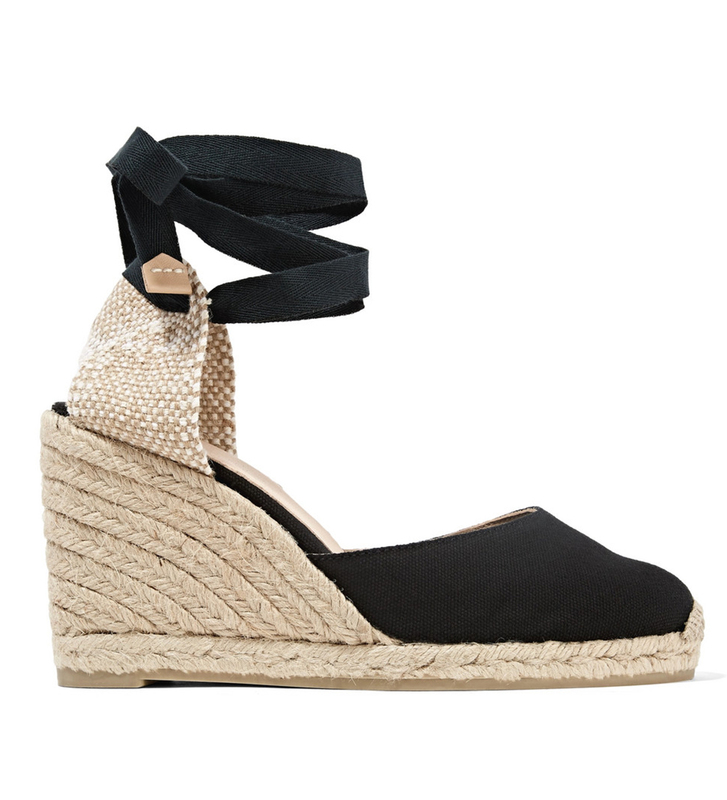 Her black espadrille wedges were designed by a brand called Castañer. When photos of Meghan Markle and Prince Harry descending a staircase at a Fiji state dinner, we all collectively sighed wistfully at the office. 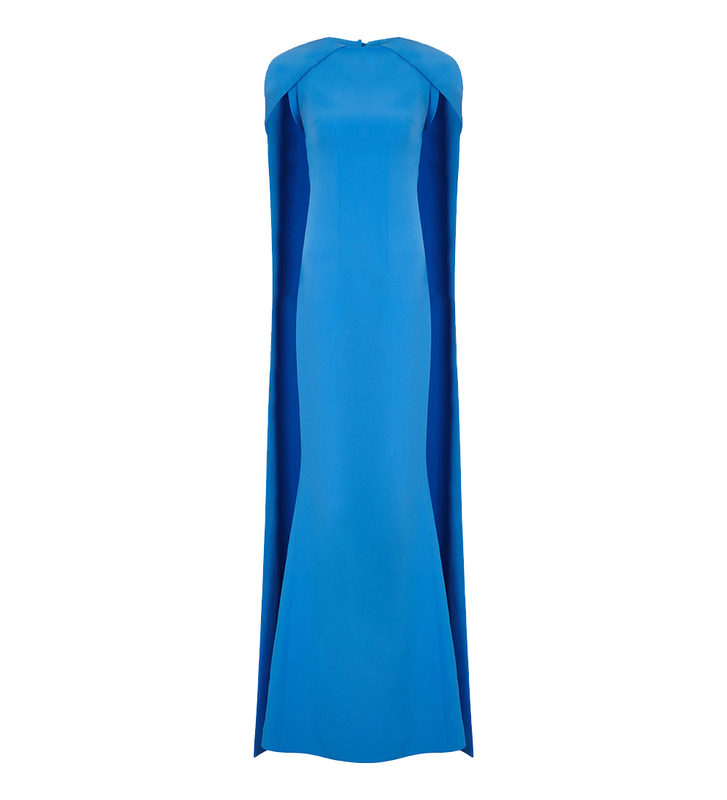 The Duchess looked every inch a modern royal in her blue caped gown designed by London brand Safiyaa. 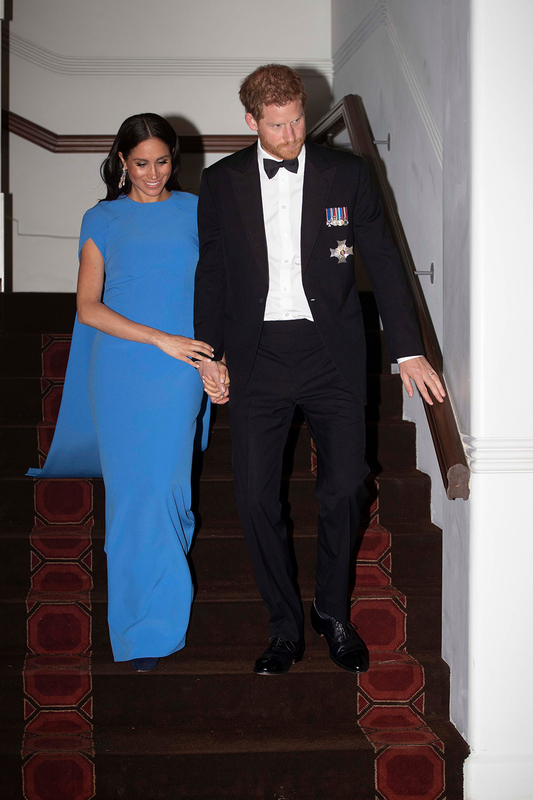 The colour was a pretty bold choice for the royal but it was for a good reason, as it turns out she matched the colour of the dress to the blue of the Fiji flag. 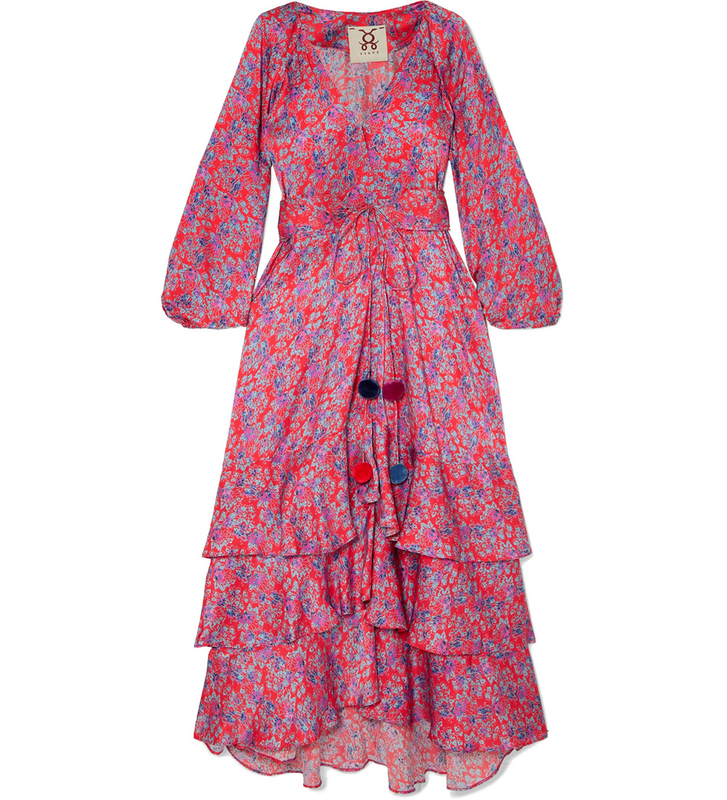 The dress, called the Ginkgo Cape Dress, is priced at £1,095 and is available below if you have the cash to splash. 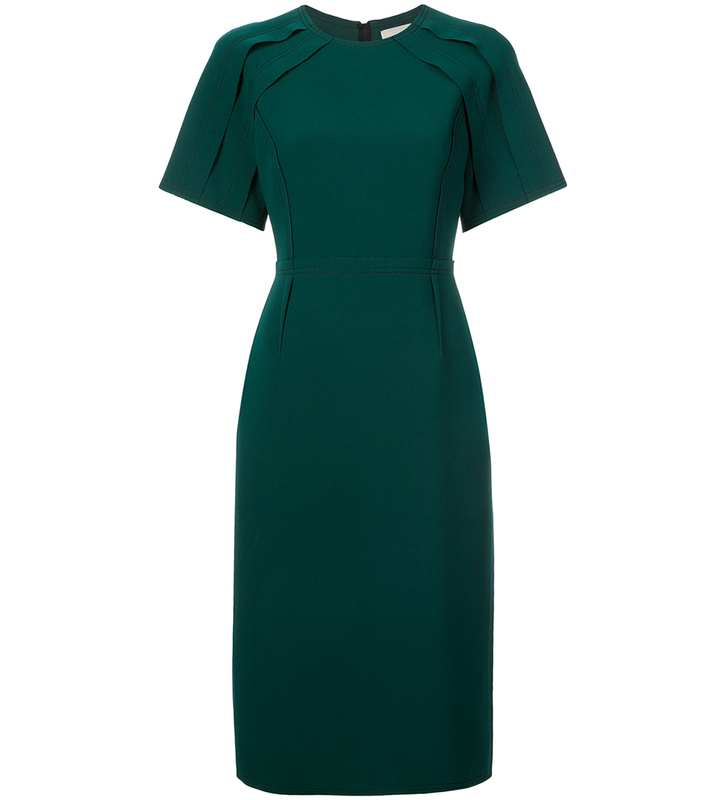 What’s been your favourite look from the Duchess? The post Where to get Meghan Markle’s best looks from the royal tour appeared first on Marie Claire.